A central challenge of these searches is that dark matter candidate particles would escape the ATLAS detector without leaving a visible signal. Search for bottom-squark pair production with the ATLAS detector in final states containing Higgs bosons, b-jets and missing transverse momentum (ATLAS-CONF-2019-011). 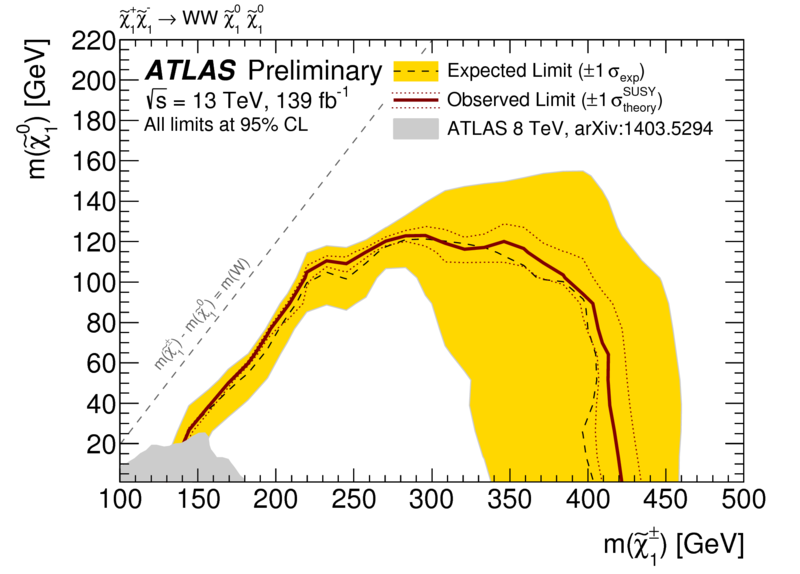 Search for electroweak production of charginos and sleptons decaying in final states with two leptons and missing transverse momentum in 13 TeV proton-proton collisions using the ATLAS detector (ATLAS-CONF-2019-008).